I’ve met an array of women traveling over the years – some with a carryon completely filled with beauty products and others that wanted to travel so lightly that they decided to forego makeup altogether. Take a look at these seven travel makeup hacks to help you downsize some products while eliminating others completely! Lose the weight and bulk of unnecessarily large glass makeup bottles. 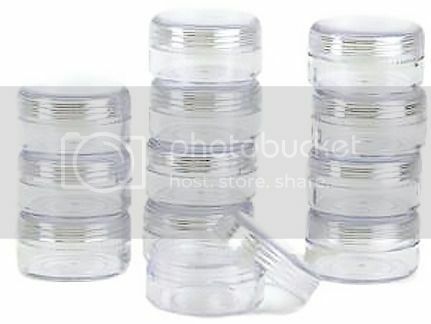 Take only what you need by transferring product into small containers such as these. Travel size is usually to much for regular toiletries especially makeup. We love: the items featured in our post on best travel containers. It’s a must read! Some eye shadow can be used as eyeliner when wet. No need to pack a liner or pencil sharpener! 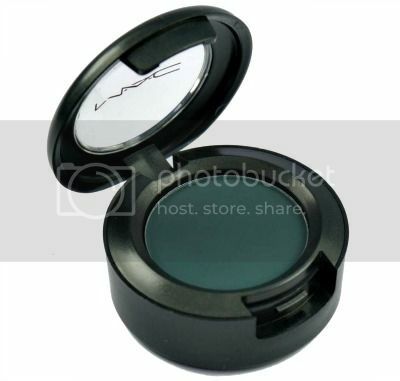 The perfect combo would be to take two eye shadow pots: one to use as eyeliner and shadow plus one lighter shade. If you choose a shadow the same color as your brows you can also use it to touch up your brows. Awesome! As an alternative to the option above, use eyeliner as eyeshadow by smearing it over your lid then dab with your finger to even out until you get the right shade. You can even use your eyeliner as a brow pencil too so all you need to pack is an eyeliner and lighter shadow to make a quick and easy smokey eye makeup look! For years I was obsessed with this Multiple makeup stick by Nars! I would never leave home without it especially for beach side trips when I wanted a natural glow. 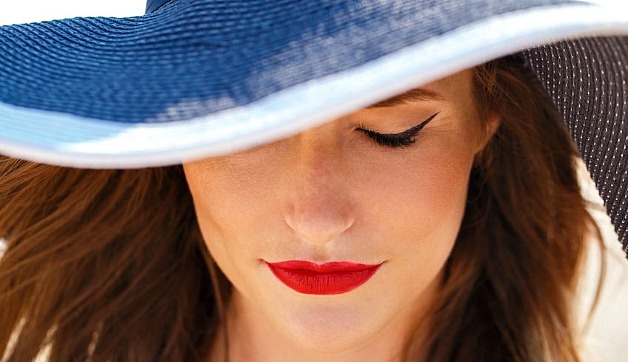 Multiple makeup sticks and tints can usually be used for lips, cheeks, and even eyes, too! Bonus tip: decant your multiple stick into a travel container like this one to enjoy your favorite product and downsize too! If you’re on an ultra-minimalist mission and don’t want to pack any makeup at all carrying one single item such as a deep red lipstick or bold eye liner can be all you need to take your look from day to night in a pinch! 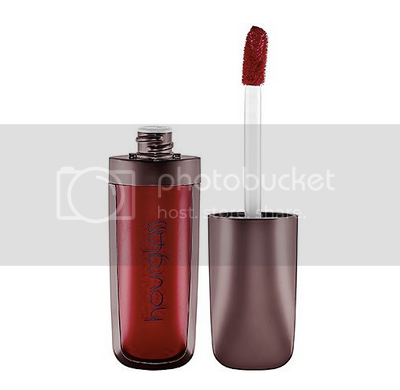 We love: Hourglass travel size liquid lipstick in Icon – it really packs a punch! 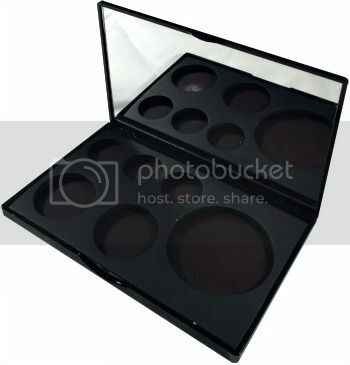 Create your own makeup palette! I love this option because I can never seem to find the perfect color combinations in pre-made palettes. Although, Benefit comes pretty darn close! We love: Heidi Barry-Rodriguez’s tutorial on how to create your own DIY makeup palette. It’s a must read! Eye makeup lovers know the importance of having the right brushes to create the perfect look and you can have the best of both worlds by traveling with dual ended brushes. Minimize the mount of items you pack without skimping on the perfeect shadow tecqnuie. 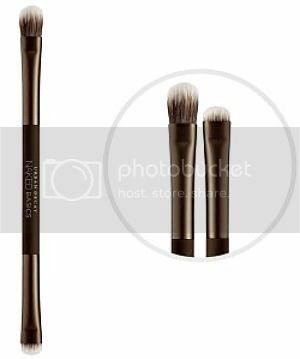 We love: Urban Decay’s Double Sided brush and this awesome duo by Eco Tools! What are your favorite travel makeup hacks? Share in the comments! Hope you enjoyed this post on travel makeup hacks. Please share it with your friends on Facebook, Twitter and Pinterest. Thanks for reading! I just spent three weeks in UK and Europe, and didn’t use half of the makeup I took – I even pared right down to what I thought were basics. What did i learn? No eyeliner required. A single quad of eyeshadow was all I needed. A ‘multiple’ product would have been perfect! I reckon next time I’ll try paring down my makeup a month before I leave for a trip. The ONLY use that makeup for the month before I go. Putting used makeup from my makeup bag into a little basket. That way, when I’m packing to go, I’ll only pack the makeup from the basket. Anything else remaining in the makeup bag, that was unused, won’t be packed. If I haven’t used it in the month preceeding the trip, why would I use it ON the trip?! Do you have any suggestions for someone with sensitive skin? I have to wash my face twice a day with a certain brand or I break out. Should I pack what I normally use or try and find something that is easier to pack? Oooh good tip, we’ll look into this Joy, thanks! This is wonderful. I love everything about this article. It was so effortless and fun. Thanks for beauty tips and travel makeup hacks that will make comfort while travelling. Ideas and tips that you have given for how to pack your makeup when travelling are really informative. You should Bring Facial Wipes Instead Of Facial Wash and plan your makeup choices around your outfits and to make an effort just to bring the few shades that match your ensembles. This will help minimize and simply what you pack and not lead to just bringing stuff for the sake of bringing it, ultimately cluttering your life. These tips are super helpful and effective. Glad you like it Maegen! Thanks for sharing your tips too! I’m a huge makeup hoarder and this is one of my biggest problems when packing for any trip. I want to look good but always overpack what I’m going to need for a trip. These tips are super helpful. One of my new favorites is Mary Kay’s CC Cream – a really good foundation with SPF in it. It saves me from having to bring a separate tube/container of sunblock for my face in addition to foundation.